Pantai Redang Beach (热浪沙滩) at Sekinchan is our next destination after visiting Ah Ma House and Paddy Processing Factory & Gallery. 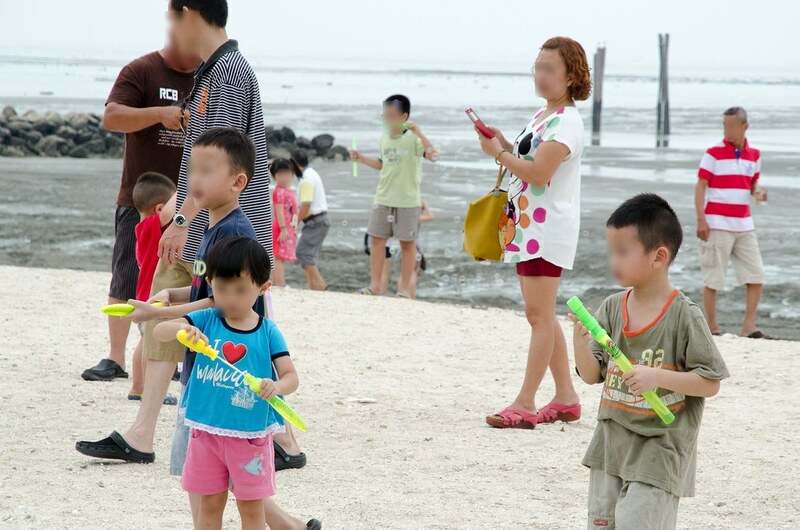 It is the beach area of Sekinchan where Hong Kong TVB shot some of the scenes for Outbound Love (單戀雙城) drama here. There are also various local dramas and movies shooting on this beach. However, this beach is not suitable for swimming, snorkelling or diving like the Pulau Redang we all know about. So, what’s interesting here? 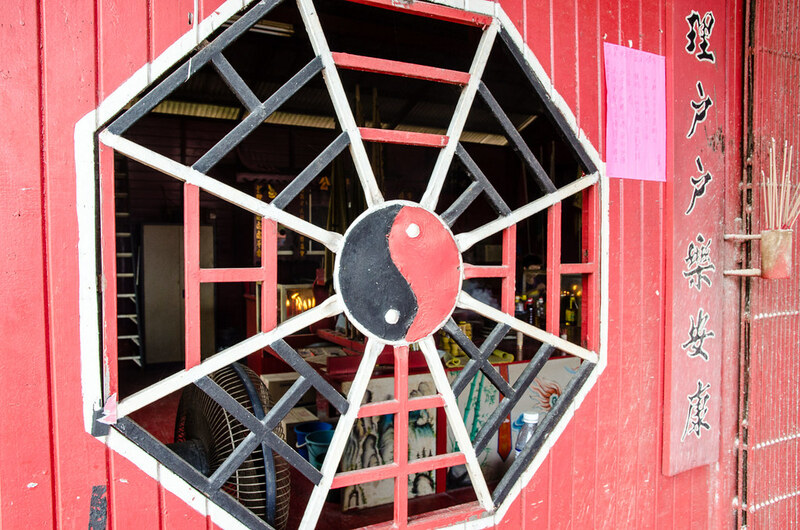 Keep scrolling to find out more of this tourist spot in Sekinchan. 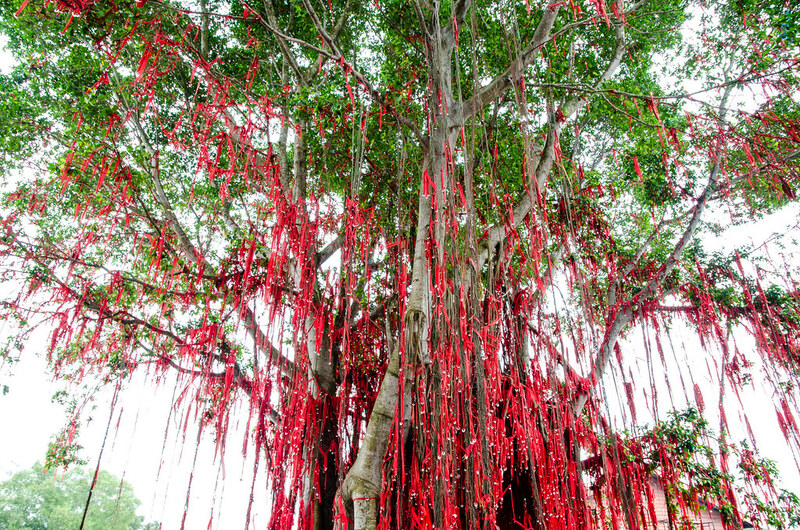 One of the attraction here at Pantai Redang Beach (热浪沙滩) Sekinchan is this big old wishing tree entangled with red ribbons knotted with coins. 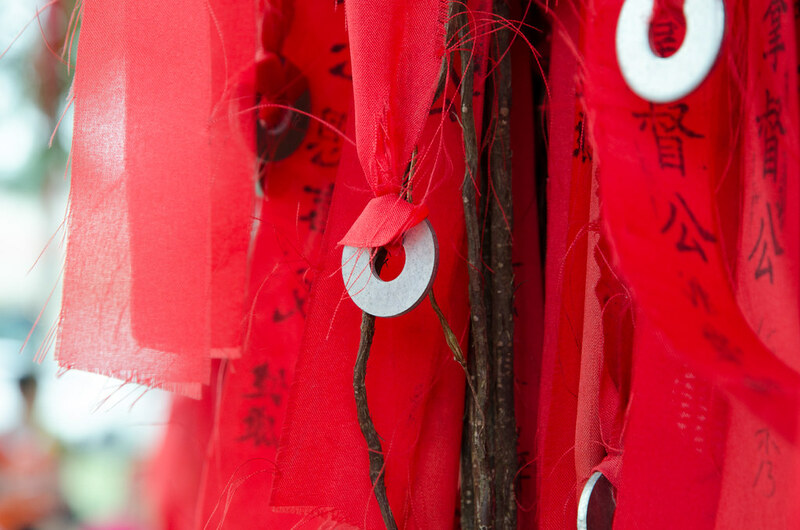 Visitors can write their wishes on a red ribbon and tie with a coin and throw it up to the three. A closer look on the wish ribbon on the wishing tree. 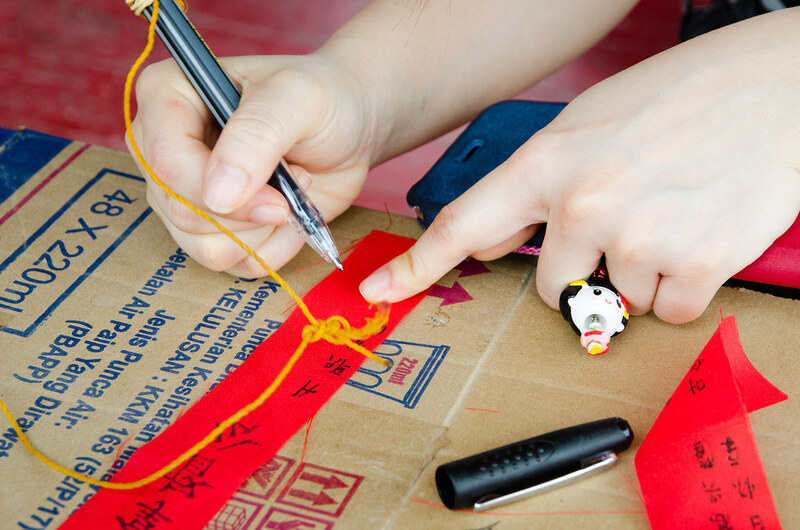 One of the visitor writing the wish on the red ribbon. The temple at Pantai Redang Beach (热浪沙滩) at Sekinchan where you can get the wish ribbon to write your wishes. 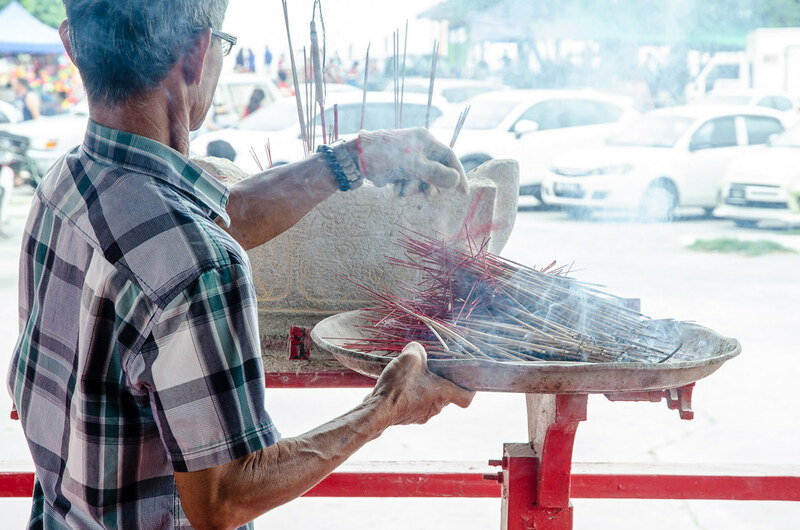 Spotted this uncle preparing the incenses for praying at the temple. 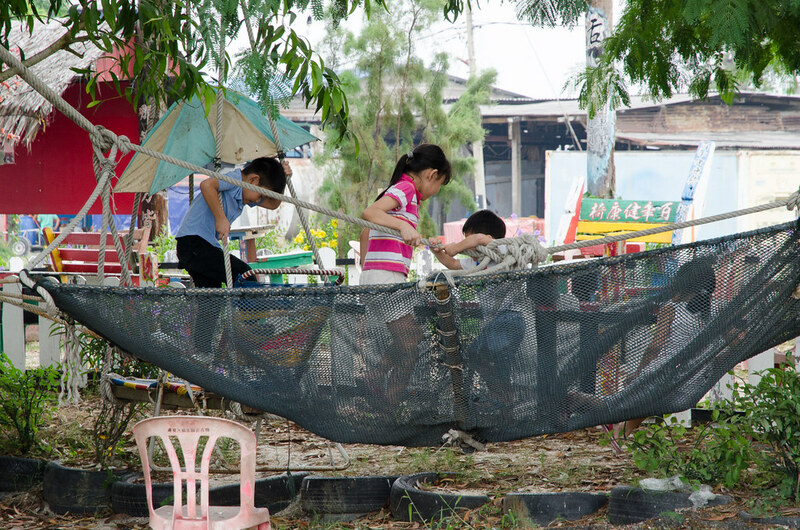 There are many local kids and visitors’ kids playing happily around the Pantai Redang Beach (热浪沙滩) Sekinchan. The bubble soap is a popular item sold and played here. 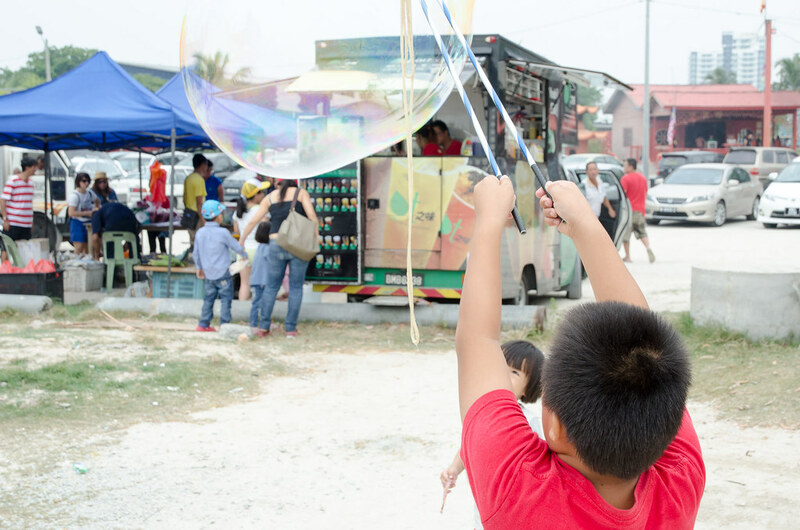 This kid is very skilful in producing big soap bubble. 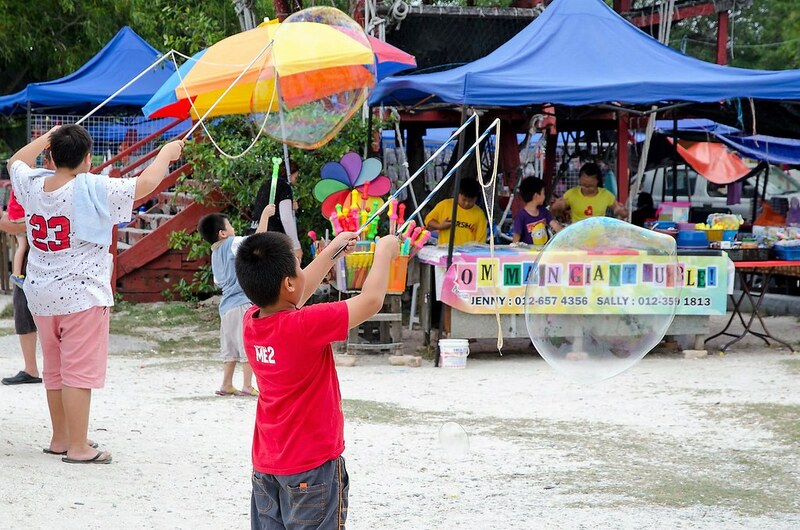 Lots of kid here playing with the soap bubble. 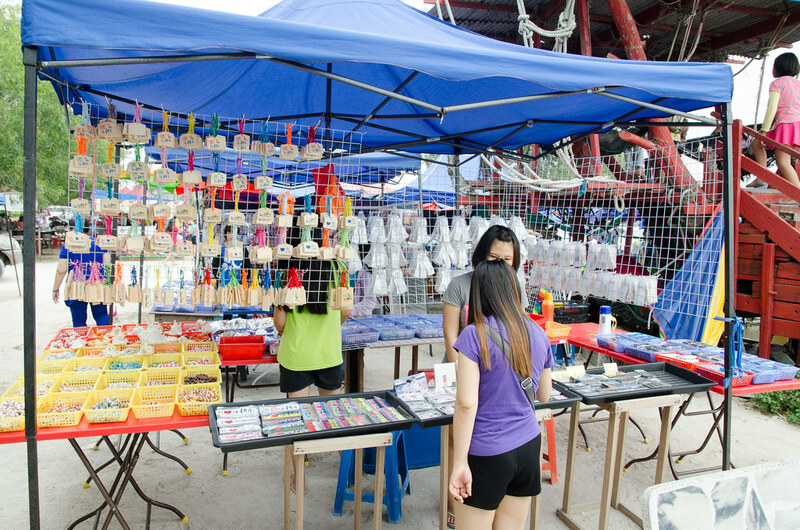 The stall selling the soap bubble. I didn’t buy and play because feeling very old already to play with the kids. 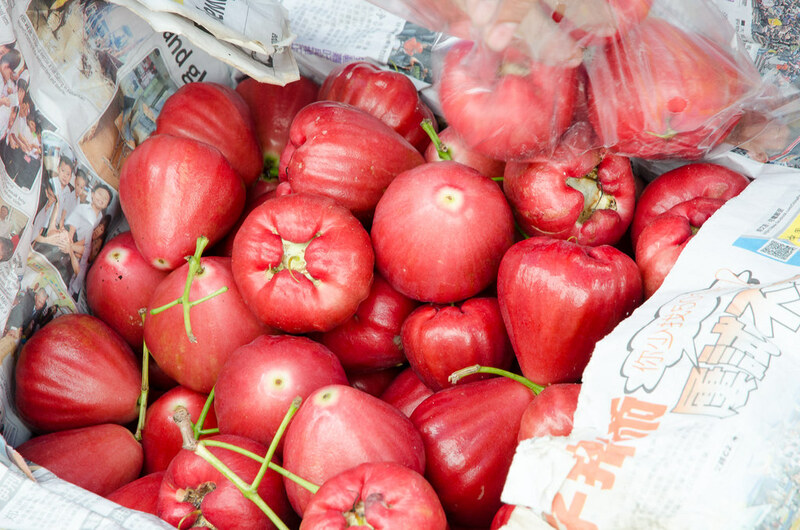 There are many fruit stalls setup here at Pantai Redang Beach (热浪沙滩) Sekinchan such as this jambu air (rose guava) stall. We bought some home. They are really crunchy, fresh and juicy. 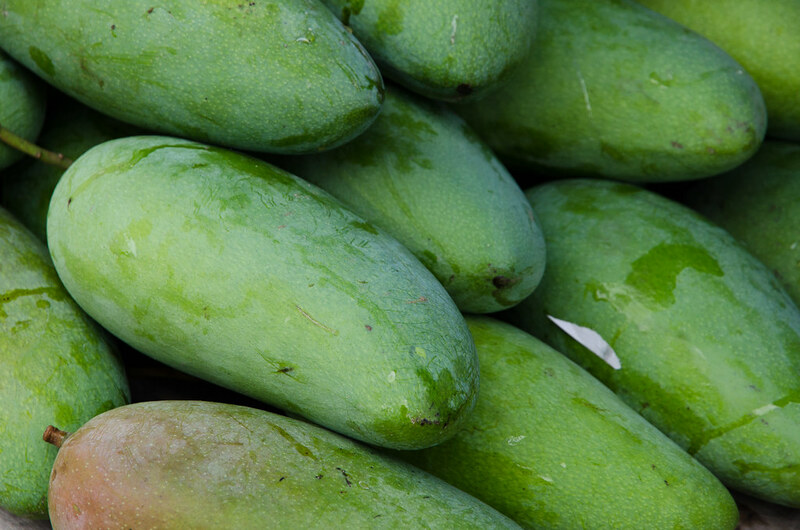 Sekinchan is also popular for their mango so you can see mango stall everywhere. One of the popular place to buy mango is Wan Chai Mango King (华仔芒果园) but we didn’t visit for this round trip. 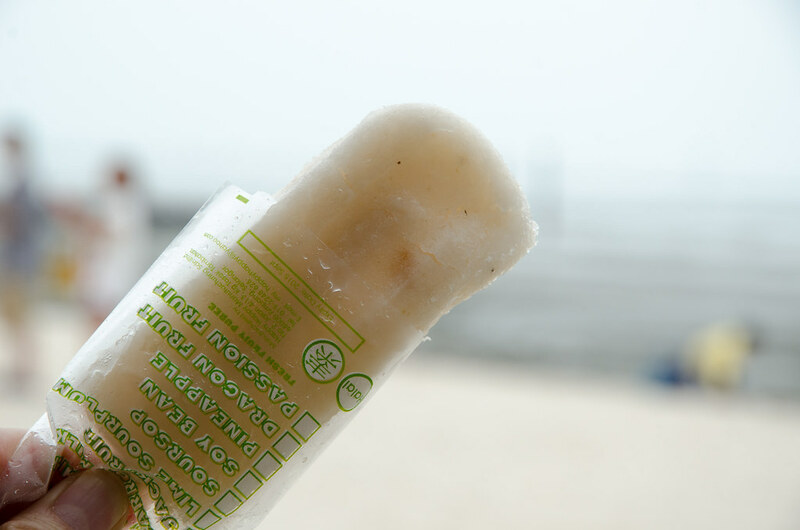 We also tried this fruit ice cream but in my opinion the taste is quite bland. 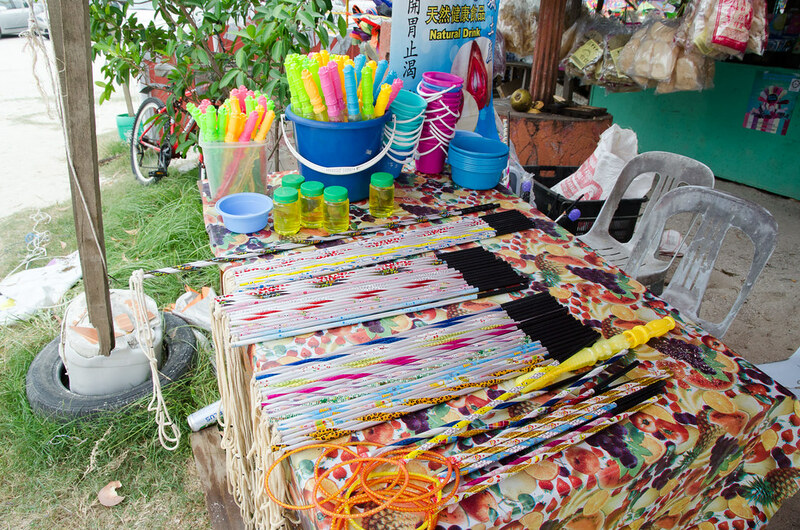 Laupoh looking at souvenirs at one of the stall setup on the beach. 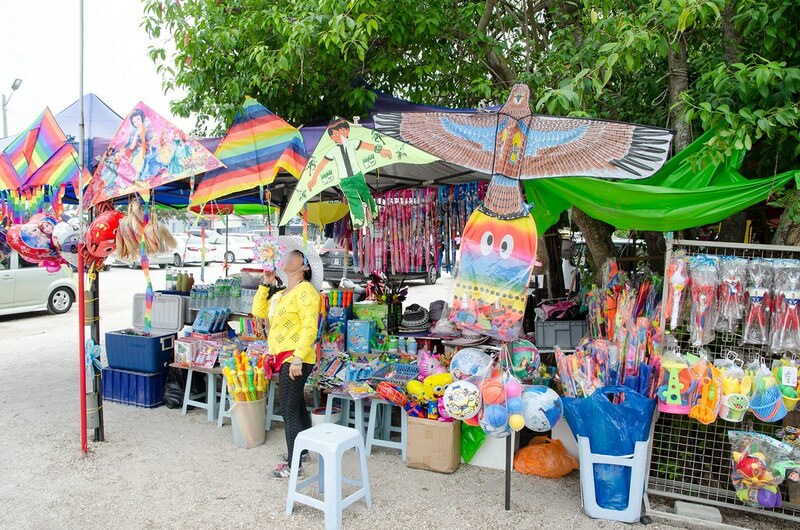 Another stall selling kites to be played on the windy beach. 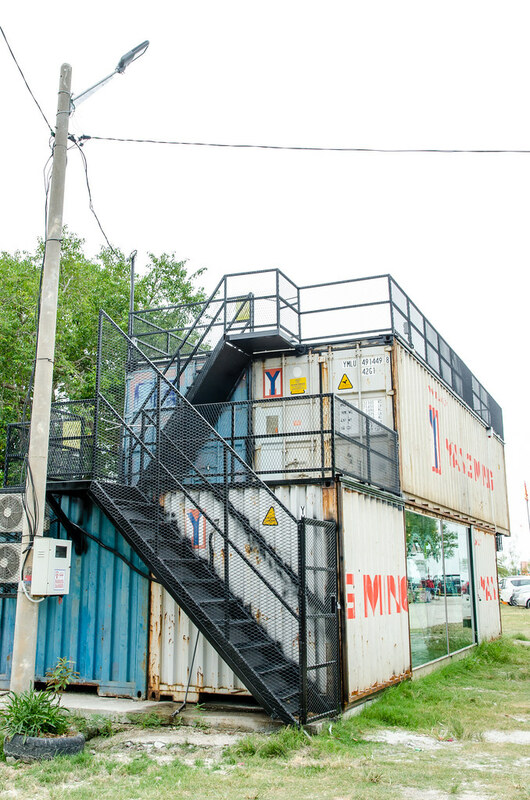 Spotted this container boxes that are being used as clothing shops. 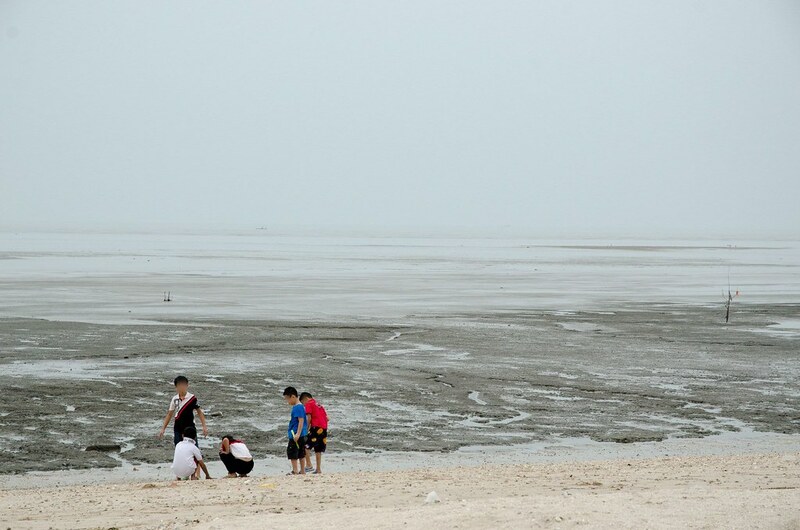 Some of the kids playing on the Pantai Redang Beach (热浪沙滩) at Sekinchan. You can also catch a beautiful sunset on the beach but we didn’t stay for too long. 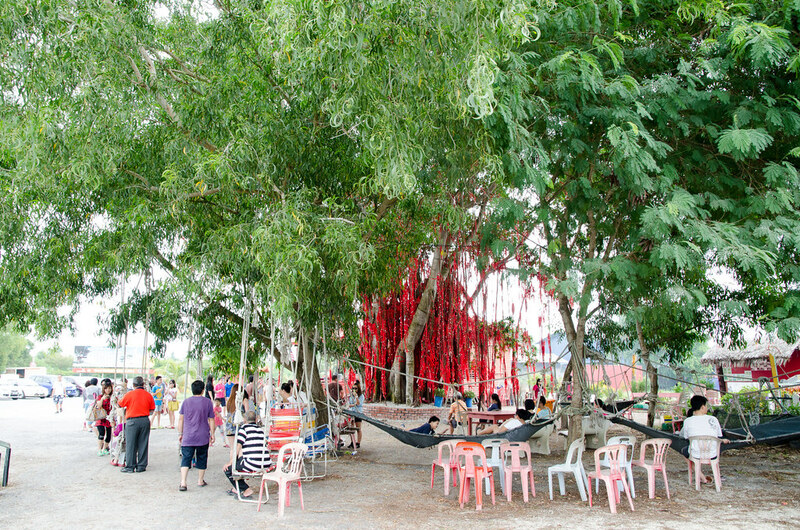 Local people of Sekinchan and tourists relaxing under the tress at the beach. Such a slow and relaxing life on the beach.